Significant cost savings and improved cash flow are the key benefits of a new partnership between RMS – The Hospitality Cloud and the Commonwealth Bank for payments through the CommWeb e-commerce gateway. RMS clients will save in two ways: 1) by no longer having to use costly third-party gateways, and 2) by accessing the special “group rate” merchant fee exclusively negotiated on their behalf by RMS with the Commonwealth Bank. 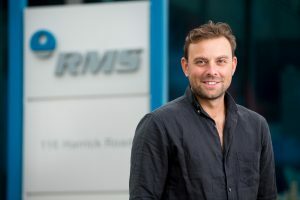 Tom Buttigieg, Head of Operations at RMS, Australia’s leading Property Management System, says the exclusive arrangement is a financial game-changer for RMS clients. “We’re excited to announce this partnership with the Commonwealth Bank, which delivers significant cost savings to our hotel, holiday park and serviced apartment clients,” Mr Buttigieg says. He adds that another benefit is same day settlement into any nominated Australian bank account. RMS has also become the first hospitality technology company to fully integrate its Property Management System with the Albert terminal, a smart EFTPOS tablet developed by CommWeb that can take payments, split bills and reconcile sales. Trials using Albert showed significant time savings for front desk staff and a better client experience. “Albert has huge potential for holiday park and hotel operators, speeding up payments and increasing customer satisfaction during busy periods,” says Buttigieg. The Albert system also collects and analyses customer data, which is supplied to clients every month, revealing key demographic and user trends.